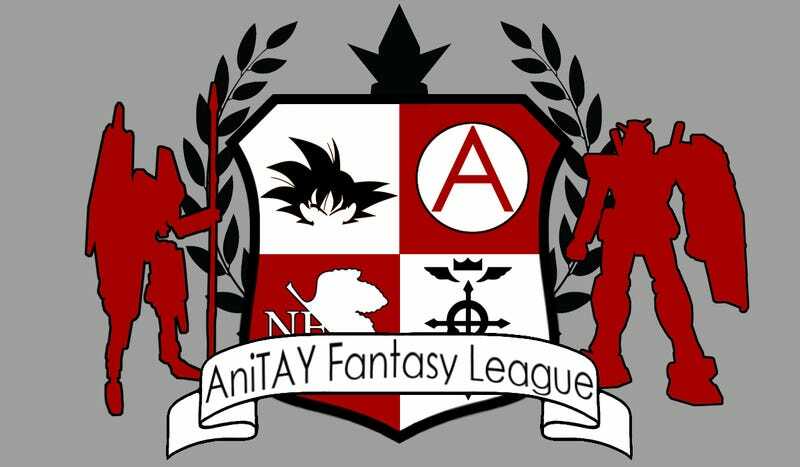 Welcome one and all to the 3rd AniTAY Fantasy League, where we pit our participants and their shows against each other like they are on opposing Pokemon GO teams. Let the madness begin! The system remains mostly the same as last season, with the exception of each league having 7 players instead of 6, choosing 8 shows (since there are 56 shows airing this season, it worked out perfectly). With a slightly smaller turnout than last season due to life getting in the way for some people( *cough*me*cough*), there are only 2 full leagues. The 3rd league is the All-Star league, with only 2 people in it, though we have yet to draft shows because one of the participants is out of the country. Anyways, on we go. With the extra player in each league, it makes it a bit hard to read the show titles, so remember that you click each picture to enlarge it. Rock re-asserts his dominance and takes the lead by a considerable margin, while also coming very close to breaking the 60-point barrier for the first time in League history! Meanwhile, Dex is in his target spot of last place, meaning that if someone doesn’t take a dive, he will get to pick a show for everyone (excluding 1st place) to watch. With Dec in 6th and one show still to go (it airs mid-August), it looks like the responsibility falls to Req - we salute your sacrifice (o o)7. If it weren’t for a few dubious picks, Dec could be a wildcard to win it all, but he needs Seven Deadly Sins to score over a 9 on MAL (aka make it into the Top 10 Anime on the entire site). Down in 4th place, Stan decides to sandbag it, most likely with some scheme to jump to 1st at the last moment to clinch his three-peat. A tighter spread than League 1 (thanks to Rock and Dex), League 2 seems much more competitive between each place, with each place determined by manageable amounts to overcome in 12 weeks. Raitz holds the wildcard spot here, and he could tie for 3rd place if Seven Deadly Sins makes its debut with a 7.36. Considering that the first season was scored at 8.46, there is a very real possibility that he could even make it to 2nd place with an 8.52. Head-commissioner Gugsy holds a lead of half a point over Krakken, but that could all change. Here in the Procrastinators League, I am clearly wrecking Proton with a massive lead of “I hope we draft shows before episode 6's start rolling around.” Never fear though, I shall defeat him surely. Since both of the full leagues used every show, they will obviously have the same power rating and average score, but these statistics still remain valuable in calculating the personal power rating for each player (except mine, the scouter can’t read my full power). Will Stan be able to get his three-peat? Will Rock break the 60-point barrier? How badly will Proton lose? Will Dex win in his own twisted way? Though League 1 has all the fancy highs and lows, League 2 will be where the action will be taking place, so stick around for the next update to see how everyone does!